We sell an outstanding selection of Pumpkin seeds and have generations of experience in the seed business and with seed breeding. 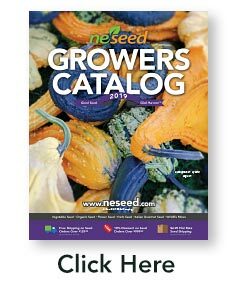 Many of the Pumpkin varieties we offer were bred for New England Seed Co and we are the exclusive retailer. 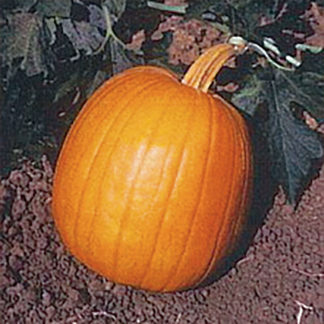 We offer new disease resistant hybrid Pumpkins for commercial growers. 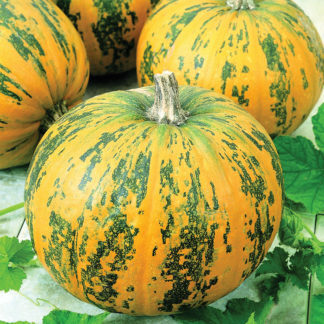 We also offer a large selection of colorful and delicious Heirloom Pumpkins. All of our Pumpkin seeds are stored under ideal conditions. All Pumpkin seed is tested according to the standards of the Association of Official Seed Analysts and meets or exceeds federal requirements. Our non-GMO seed is available in multiple sizes from retail packets to bulk. Our bulk Pumpkin seed is packaged in heavy-duty, plastic, resealable moisture resistant pouches to help protect seeds during shipping and storage. For the home gardener, we offer colorful and informative retail packets for many of our varieties.